(LWI) - Young Reformers in the Evangelical Lutheran Church in America (ELCA) are working to let the voices of youth and young adults be heard in Lutheran congregations across the United States. “The empowerment of youth and young adults is about being full members and not just the future of the church,” said Christine Shander, who is part of The Lutheran World Federation (LWF) Global Young Reformers Network (GYRN) and an ELCA Young Reformer leader. “Strategically, we should be thinking about how the leadership of the church is moving forward,” Shander added. The ELCA young reformers aim to build a fellowship of young adults and empower them to explore ways to engage with other young adults between the ages of 18 and 35 years in the church, which has 3.7 million members across the country. The initial group of 18 members from different ELCA synods and congregations participated in the August 2016 ELCA Churchwide Assembly and Grace Gathering in New Orleans. They created videos and other digital materials of their vision of the church, expressing the viewpoint of young adult Lutherans in the context of the 500th anniversary of the launching of the Reformation being marked throughout 2017. One of the videos shared through Facebook had more than 4,600 views and has been shared and watched by youth in the USA and around the world. 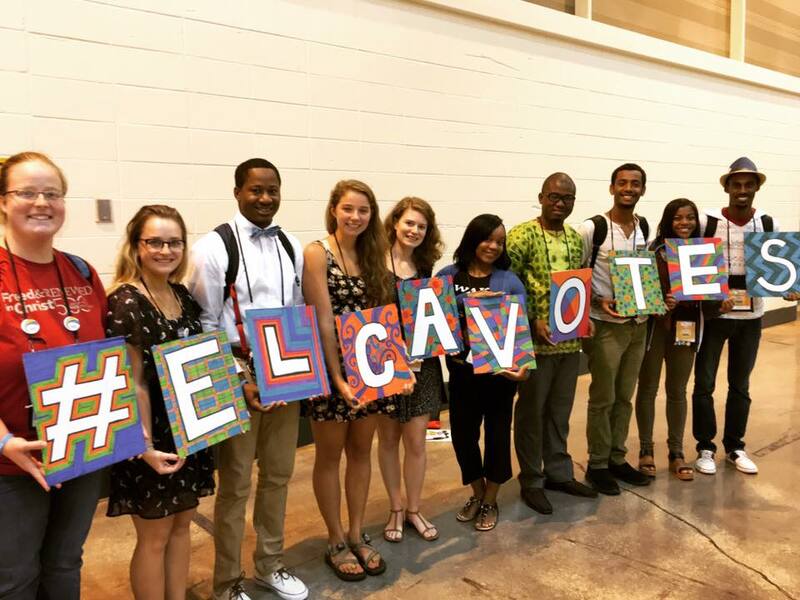 The ELCA Young Reformers Facebook and group launched since, continues to raise awareness about the group and encourage new members to join the movement. The group also organized a “Gospel Empowerment” digital devotional, running from Easter to Pentecost, which included brief devotional reflections and prayers led by ELCA’s young reformers and GYRN participants from around the world. The project has the support of the ELCA and synod leaders, and together they are working to get the young adults’ voices into clergy groups and within other generational gatherings throughout the church. “The experience shows that it is vital to have conversations on a ‘broader’ level that eviscerate the lines that are drawn when it comes to congregations and even regions,” said Jon Bates, an ELCA young reformer leader. There are plans for a number of new activities across the USA, responding to the question: “What do you wish the church talked about more?” The project being facilitated under the May 2017 LWF Assembly sub-theme, “Salvation - not for sale” and the Reformation anniversary commemorations, gives young people a chance to join conversations on the topic.